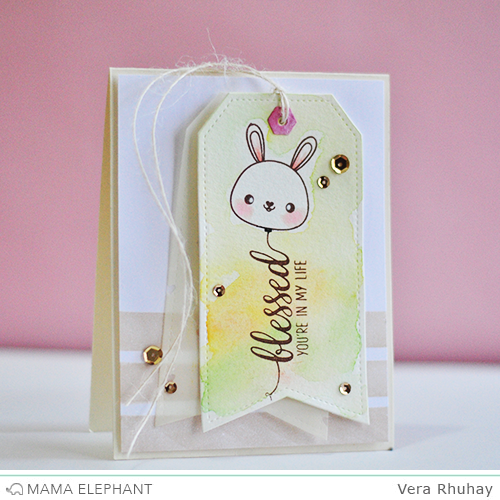 Today we are continuing Stamp Highlights with Blessed! 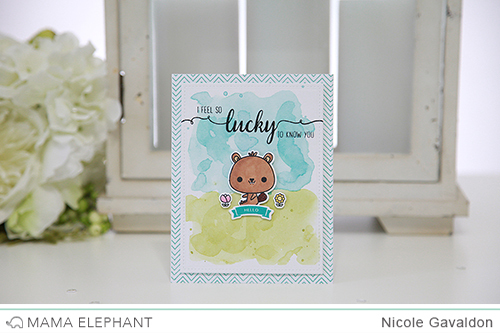 We love the way Nicole used the long scripty sentiment with the smaller phrases in this set to create a custom sentiment. Deasy used a masking technique for the word " lucky " to make a fun bright background. Then she also added a cute bear and mouse from Tandem Ride stamp set. The long scripty greetings in the Blessed stamp set are the perfect way to show off multiple colors of ink for a multi-colored greeting. 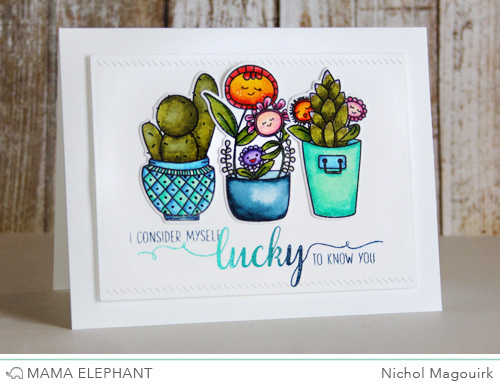 Nichol paired her ombre stamped greeting with some Potted Pretties. 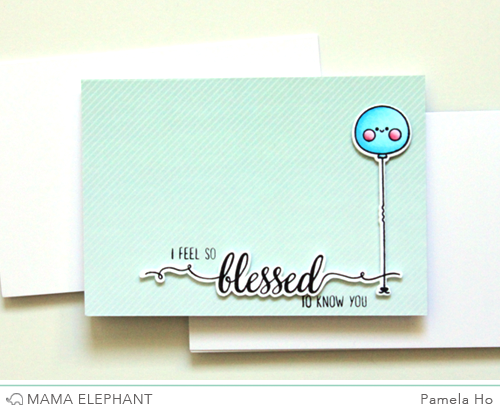 Pamela made a simple card using the balloon from Tandem extras and overlapped the blessed sentiment for a fancy corner border. 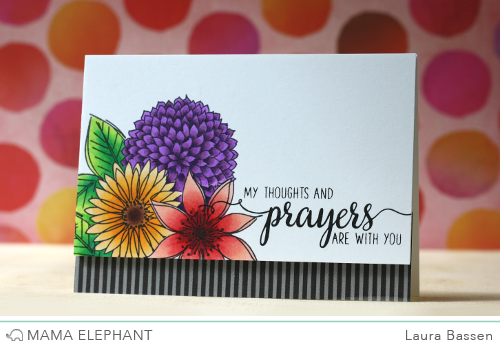 Laura combined a sentiment from Blessed with Freestyle Florals to create her card. 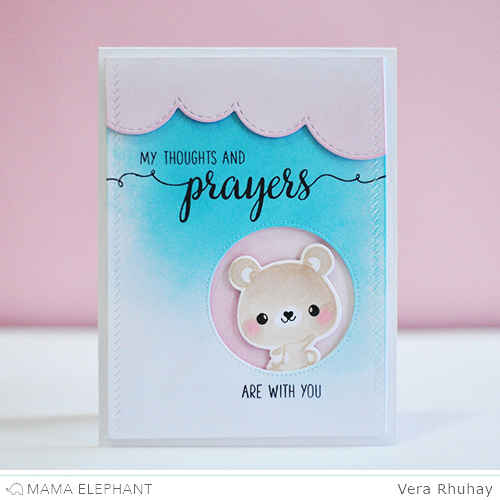 Vera loves how versatile the "Blessed" stamp set is and it can easily be created into cards. With the cute bear in the first card, we can send a sweet message to someone special or we can create a balloon message using the bunny head from tandem ride for the second card. So love these "blessed" cards! Gorgeous! They are all stunning! I love that sentiment stamp set!! Just perfect!